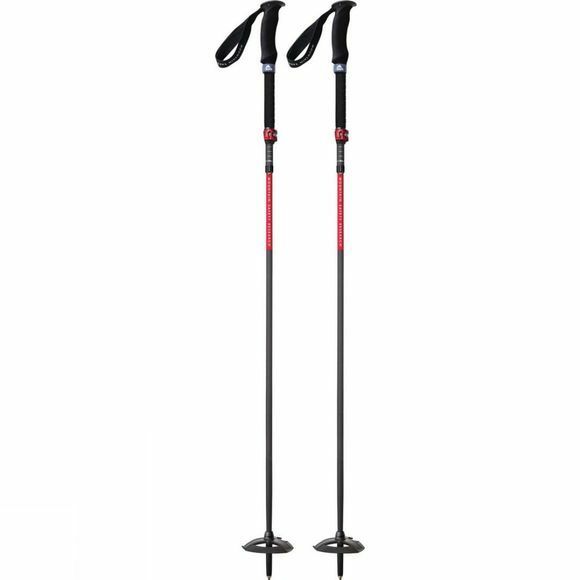 The DynaLock Ascent Poles from MSR were engineered to keep you moving fast and light through the alpine whether you’re snowshoeing, climbing or splitboarding. 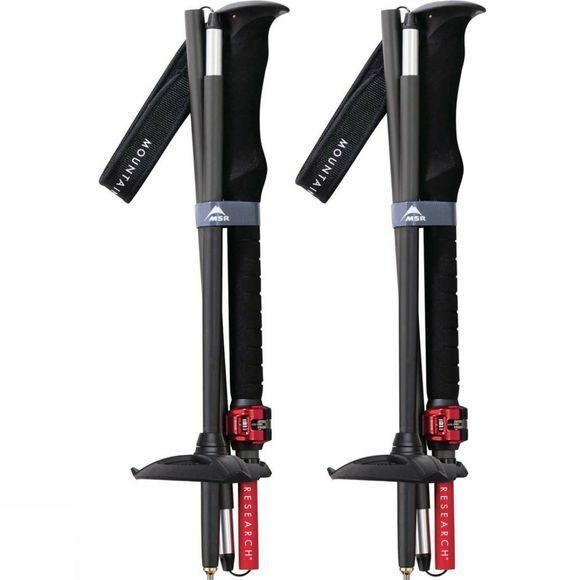 Built of Kevlar-reinforced carbon fiber, these ultralight poles feature a quick-deploy design, and their tiny collapsed size fits inside alpine packs and travel bags. Equipped with our DynaLock mechanism, they offer 20 cm of length adjustability (total lenght 120 -140cm), and the ability to tighten the clamping force on the fly for no-slip security—perfect whether you’re bagging volcanoes or pushing hard from first light to last. With EVA foam grip and winter and summer baskets included you will be able to use them all day long during any season.